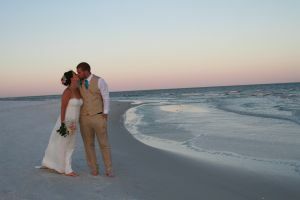 Beach wedding packages for Pensacola Beach, Navarre, Perdido Key, Gulf Shores and Orange Beach. All wedding package designs copyright Beach Bride Weddings LLC. We also do elopements, contact us for availability. Our goal with design is to make the bride shine. For small weddings of 15 or less. Mailing of license after ceremony. No bring your own decorations. deposit comes off the $399. Click here for a list items you can bring with you. in blue, pink or coral chiffon. Unlimited emails and phone consultations. Set up and clean up of our equipment. deposit comes off the $999. See real weddings in the Photo Gallery. 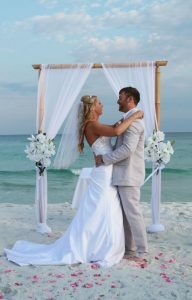 Caribbean Dream is our newest beach wedding package. If you are interested in a color we do not have listed let us know and we may be able to get the flowers you want for a small fee. pink, red, coral or yellow. deposit comes off the $599. 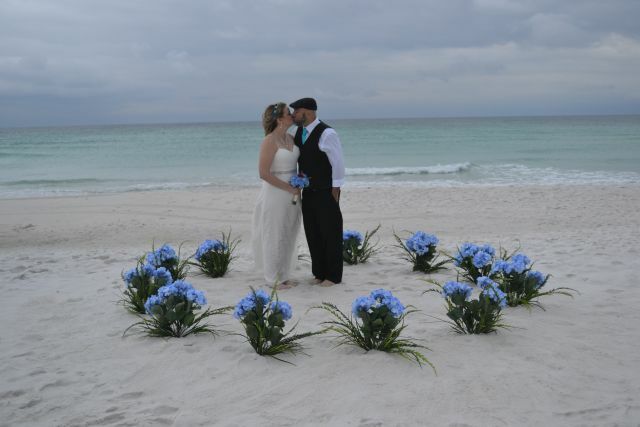 Have the wedding you always wanted with us. 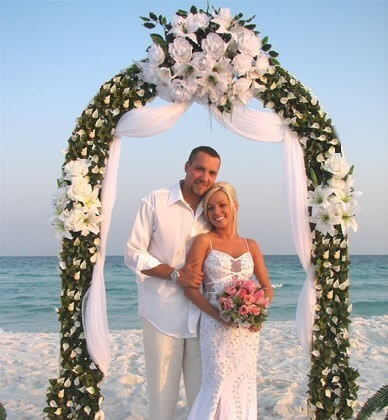 Decorated bamboo wedding arch also available in turquoise, pink or coral chiffon. See the arch in turquoise in the photo gallery. Need information on the marriage license? Click here to email us. 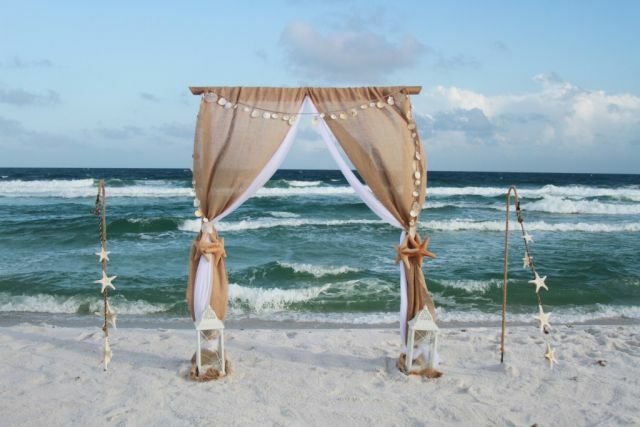 We are looking forward to helping you have the beach wedding you always wanted. 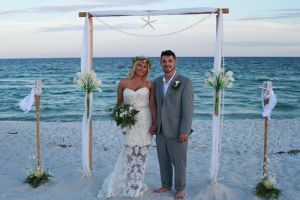 55+ color photos after ceremony. for small wedding wanting more photos. The website is full of useful info you will need to know when you come here so read every page carefully. 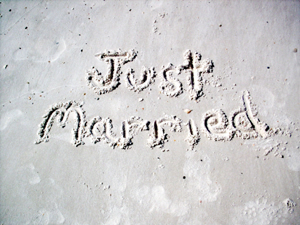 Make sure you get the correct marriage license for the state you want to get married in, either Florida or Alabama. You must be paid in full one month prior to your wedding. If you are eloping you must be paid in full before your wedding.